Fluff accessoires by artist Claudette Barjoud! Super cute little Birdie Scallop Coin Purse. 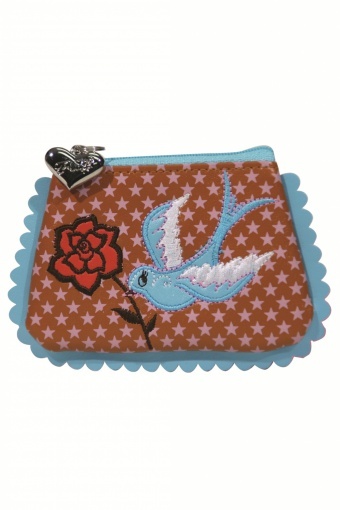 A real sweetheart this little purse in faux leather with a bird carrying a rose. Cute silvertone Fluff Heart Charm zipper pull. So lovely!